Meet Ben. This adorable ten month old baby boy is the youngest of Nicola's five happy go lucky children. Unfortunately though, Ben hasn't had the easiest start to life. 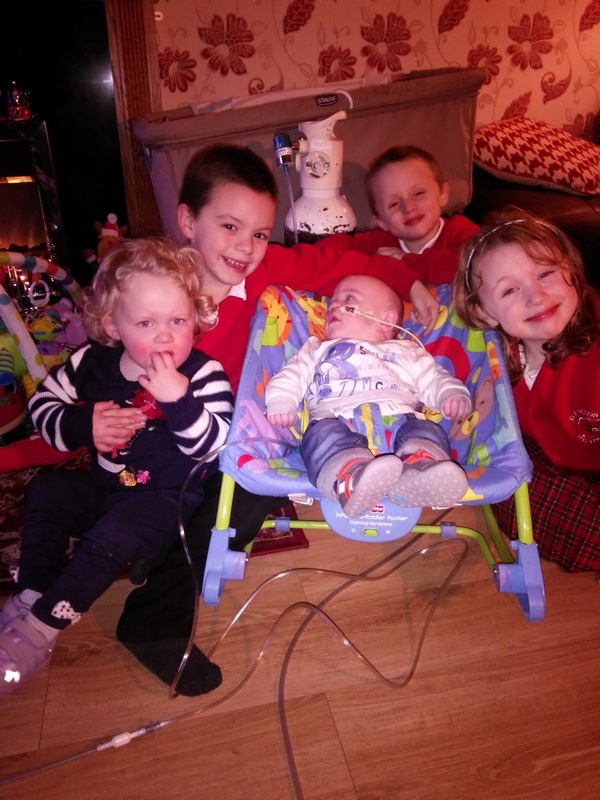 Born twelve weeks early and with Chronic Lung Disease, he is dependant on long term oxygen. 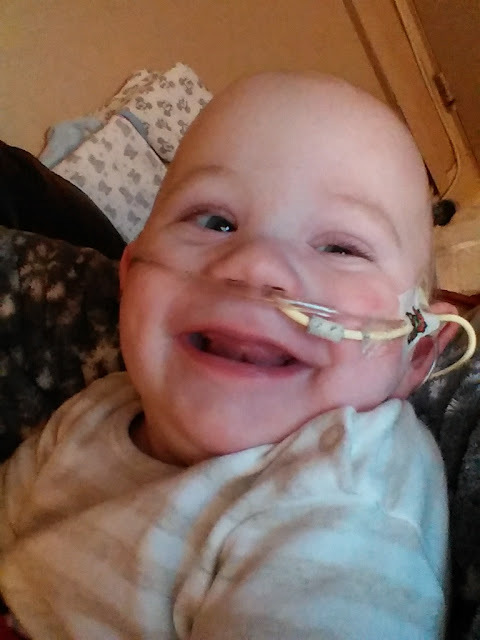 Despite various other health problems including Periventricular Leukomalacia (brain damage), Cerebral Palsy and visual impairment, this cheeky chap is almost always smiling. 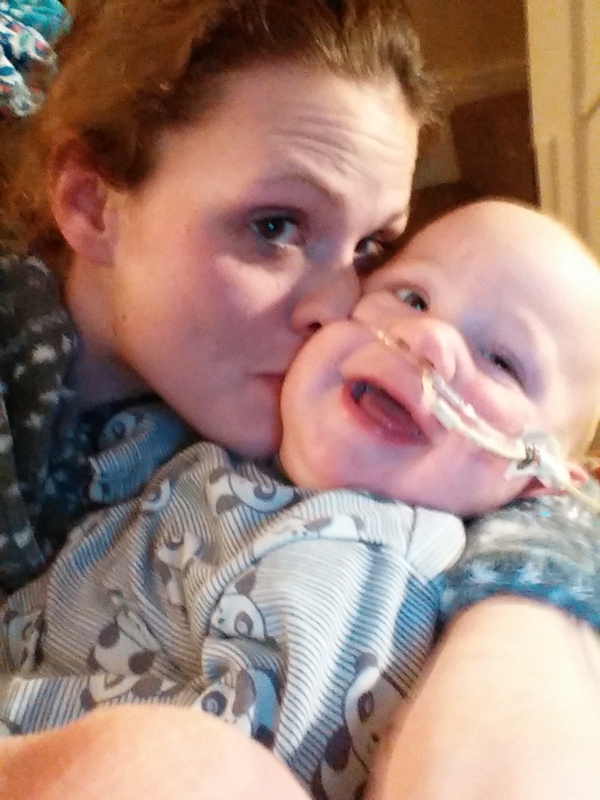 Tube fed, Ben is due to have surgery for his P.E.G and Fundoplication later this month at Manchester Children's Hospital. We are fundraising for a Specialised Orthotic seating system known as a P Pod, so that Ben can sit safely and comfortably at home whilst getting the postural support he needs. Although the NHS do their best by people, their funds are currently stretched to the limit and as such they're unable to provide this seating aid for Ben. If you wish to help us raise the £1000 needed, please visit Nicola's 'JustGiving' page by clicking here. Every little really does help. Thanks in advance and I hope to update you all on Ben's progress in the near future.